Nintendo Super Famicom Cart. published 25 years ago by Acclaim Ent., Inc. 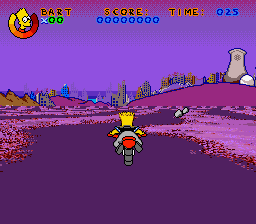 Virtual Bart [Model SHVC-AVBJ-JPN] © 1994 Acclaim Ent., Incorporated.